Best Bluetooth Receiver 2017: What's the Best Bluetooth Receiver? Home Gadgets Best Bluetooth Receiver 2017: What’s the Best Bluetooth Receiver? Want to know the Bluetooth Receiver of 2017? Whether you're looking for the best sound quality Bluetooth music adapter or just want the best cheap Blueooth receiver, I've got you covered. 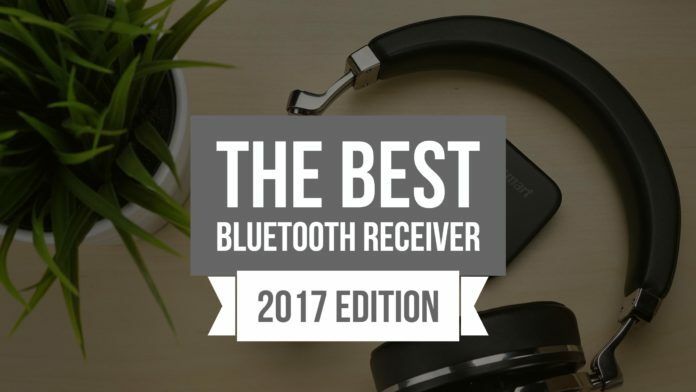 If you’re looking for the best Bluetooth receiver of 2017, you’ve come to the right place! Bluetooth receivers are a fantastic way of upgrade your speakers and headphones with Bluetooth connectivity instead of having to fork out for new home theatre equipment. If you’re looking for the best Bluetooth receiver in 2017, you can’t go past the Audioengine B1 Premium Bluetooth Receiver. With premium metal construction and top-quality audio components, it’s easily one of the best Bluetooth receivers money can buy. That said, if you’re looking for a more affordable option, the MPOW Bluetooth receiver is a fantastic option. For under $20, it offers Bluetooth 4.0 connectivity, a built-in battery and more, making it a cheap way to upgrade your home theatre. 6 Best Bluetooth Receiver Buying Guide: What to look for in a Bluetooth Receiver in 2017? The Audioengine B1 Premium Bluetooth Receiver is my current pick for the best sound quality Bluetooth receiver. Audioengine have prioritised sound quality, using high quality audio components and supporting the aptX codec for better Bluetooth audio quality. Rounding out this Bluetooth music receiver is a solid metal construction and external antenna for improved wireless range. Whilst it does come at a price premium compared to other Bluetooth music recievers on my list, if you’re wanting the best sound quality from your Bluetooth receiver, you can’t go past the Audioengine B1. If you’re looking for the best cheap Bluetooth receiver of 2017, you can’t go past the MPOW Bluetooth receiver. For under $20, the MPOW Bluetooth receiver boasts Bluetooth 4.0 connectivity, integrated music controls and a standard 3.5mm jack so you can easily connect it into your home theatre system. A built-in rechargeable battery offers up to 10 hours of use, making it perfect for use on the go. 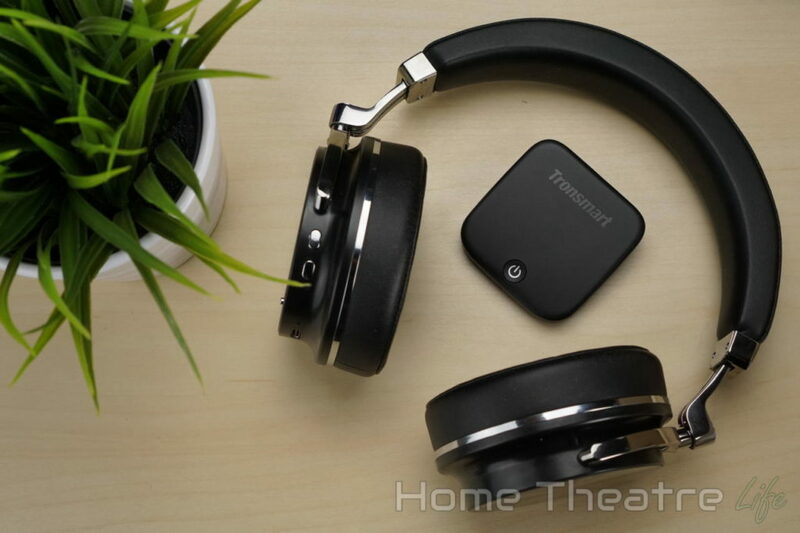 The Tronsmart M1 (review) is unique as it’s both a Bluetooth transmitter and receiver. Like other Bluetooth music receivers, you can hook up your smartphone and play music over Bluetooth to connected speakers or headphones. However, set it to Transmit mode and you can use it as a Bluetooth transmitter, letting you use your Bluetooth headphones with your TV or other non-Bluetooth compatible devices. The Tronsmart M1 supports both 3.5mm and optical audio connections, and a built-in rechargeable battery gives you up to 15 hours of listening on the go. If you’re wanting a Bluetooth transmitter and receiver for maximum flexibility, the Tronsmart M1 is a solid choice. Best Bluetooth Receiver Buying Guide: What to look for in a Bluetooth Receiver in 2017? What is an Bluetooth Receiver? A Bluetooth music receiver is a gadget that lets you stream music to connected speakers or headphones via Bluetooth. They’re a cheap way of upgrading older home theatre equipment by adding Bluetooth capabilities. Why buy a Bluetooth receiver? There’s no doubt that Bluetooth is everywhere. The wireless technology is in your smartphone, tablet, speakers, and headphones. However, not all recent audio equipment has Bluetooth streaming built in. Often, people work around this by buying a high quality Bluetooth speakers like the Bose SoundLink. 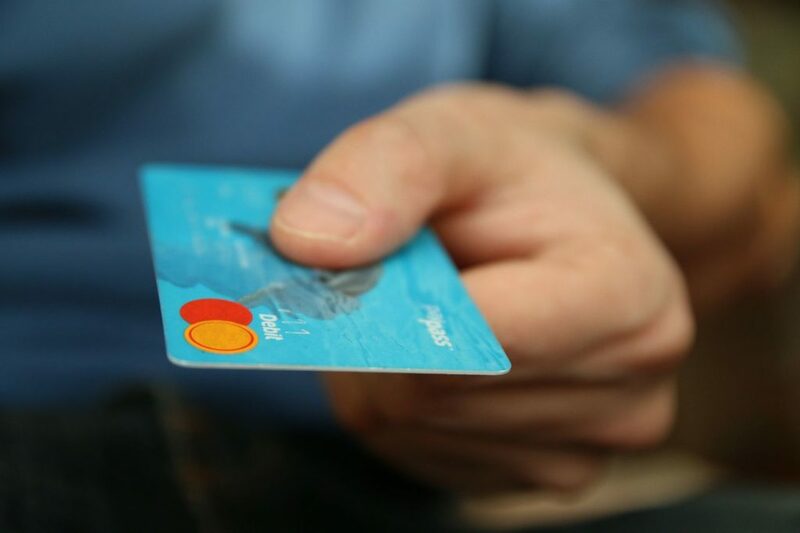 However, if you’ve already forked out hundreds (or thousands) on quality audio equipment, buying a Bluetooth receiver is an easy way to add Bluetooth music streaming rather than buying new equipment with Bluetooth support built in. What Features Should the Best Bluetooth Receiver Have? There’s no point buying a Bluetooth receiver for music if the music sounds terrible. Whilst Bluetooth audio won’t be as good as a direct connection (though most won’t be able to notice the difference), the quality of the audio components in a Bluetooth receiver is important. The best Bluetooth receivers have high quality audio components for the most faithful music reproduction the technology can provide. Of course, this does come at a significant price premium as better quality audio components drive up costs. 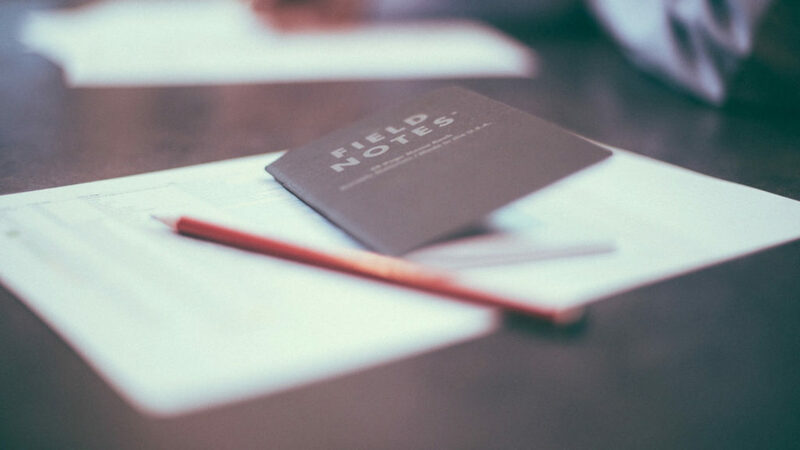 Ideally, the best Bluetooth receiver should offer recent Bluetooth standards, as each new iteration of the Bluetooth protocol adds useful features such as improved bandwidth, increased range and reduced power consumption. The best Bluetooth music receivers should offer at least Bluetooth 3.0 for a smooth streaming experience, though Bluetooth 4.0 is recommended. Newer Bluetooth standards are backwards compatible however, so modern devices won’t have any issues connecting to older Bluetooth devices. The freedom of wireless audio is no good if you need to be right next to the Bluetooth music receiver so Bluetooth range is crucial. The best Bluetooth receivers should offer at least 10m of range, though though some Bluetooth music adapters improve this using external antennas and other technologies. Most Bluetooth audio receivers support 3.5mm audio connections as standard, allowing you to connect to most headphones or amplifiers (though you may need an RCA adapter). Other models may offer extra connections such as optical audio for improved audio quality. Some people want a Bluetooth music receiver that they can use on the go so looking for a Bluetooth receiver with a built-in rechargeable battery is a perfect choice. Look for Bluetooth adapters that offer at least 10 hours of use, as you’ll want to be able to get a solid day’s use from a single charge. Having reviewed dozens on Bluetooth music receivers, the above list reflects the best Bluetooth receivers to date. 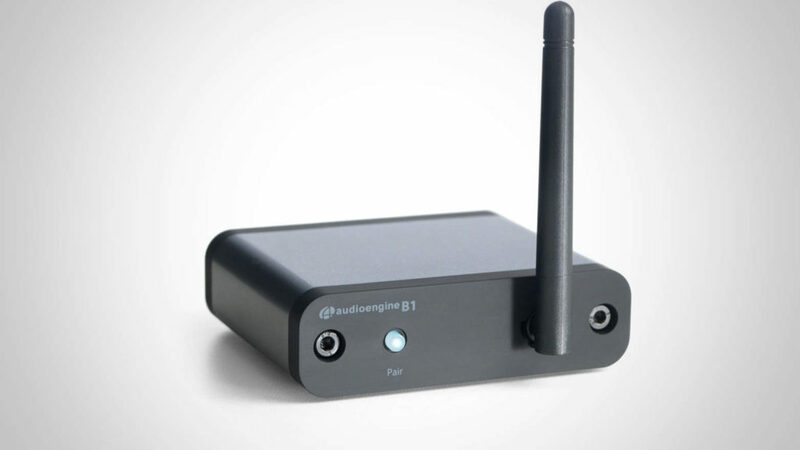 The Audioengine B1 Premium Bluetooth Receiver is definitely the best sound quality Bluetooth receiver and is ideal for those who prioritise audio quality above everything else. 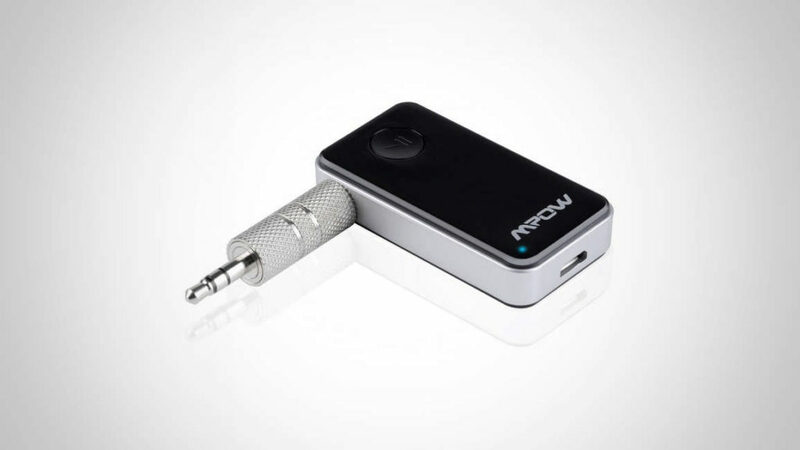 That said, most users will be happy with the MPOW Bluetooth receiver given its excellent price/performance ratio.